Are you like me and do you spend a fortune on a Halloween costume every year that ends up getting donated to charity or stuffed in the back of the wardrobe? I like to go all out at Hallowe'en but point blank refuse to wear the same costume twice so this year I've been thinking of costume ideas that are both clever and stylish, and which won't end up being recycled after their first wear. Whether you're preparing for Hallowe'en with the kids or have another fancy dress party to attend, why not try on one of these for size. They may just become a future wardrobe staple! If your favourite part of dressing up is the makeup, you'll love dressing as Cleopatra for your next fancy dress do. Cat eyes, a black wig, and glittering eye shadow will help make this costume come to life. Think Elizabeth Taylor at her most glamorous, and go for gold with a statement necklace that you'll want to wear again and again. Flowing strapless maxi dresses have been in style for the past few seasons, so you may already have one sitting in your closet. If not, this is your chance to snap one up at a bargain! 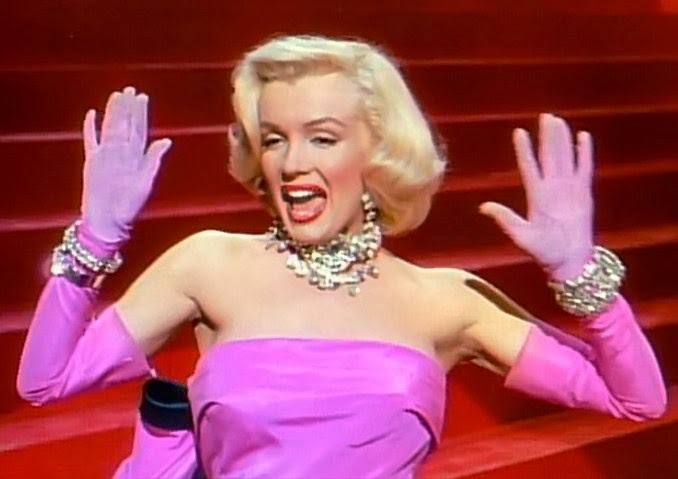 Stars of film's golden era make for excellent costume inspiration, and it's hard to beat the glamour and style of Marilyn Monroe in her heyday. A short blonde wig (or curls if you're naturally blonde) and a sultry, billowy frock will make you look like you just stepped out of The Seven Year Itch. Accessorize with strappy sandals and a giant cocktail ring. Are you a big fan of The Great Gatsby or Boardwalk Empire? Dress as a Jazz Age party girl with a beaded or fringed dress, long pearls, and a jewelled headband. You can visit Funidelia for some costume inspiration in this department. These are all pieces that come back into style every now and again, so you'll be able to wear them time and time again. Whether or not your kids are old enough to appreciate The Hunger Games just yet, you can appreciate Katniss Everdeen's tough girl style and utilitarian wardrobe. Skinny cargo pants, motorcycle boots, and a plastic bow and arrow will bring your costume to life. If you've been dying for a reason to buy a pair of this season's chic biker boots, here you go! Channel Betty Draper from Mad Men by dressing as a prim housewife straight from the 1950s. Think floral day dresses, elegantly set curls, and short gloves. Gloves are a top accessory this fall, so you'll have no shortage to choose from, and knee-length circle dresses will serve you well when the weather warms up! For an edgier look, bring out your inner vixen as Catwoman. Although you may not get a second use out of your cat ears and mask, you can certainly wear a pair of thigh-high boots well into the winter, along with a comfy pair of black leggings and sleek black top. These are just a few ideas to get you brainstorming. Fancy dress parties don't have to lead to you draining your bank account on outlandish pieces that you will never wear again; use them as an excuse to buy some key new pieces for your wardrobe!